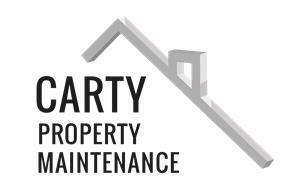 Carty Property Maintenance Ltd - Builder, Roofer based in Minster on Sea, Kent. CPM has 35 years’ experience in the building trade. We are a family run business that manage Property Maintenance & Refurbishments, including All aspects of Roofing, Painting & Decorating, Partitioning, to name a few, for many satisfied clients, just take a look at our feedback. Matthew is also a qualified Locksmith, should you find yourself locked out or just want to upgrade to more secure locks, give us a call and we'll be happy to discuss your requirements. CPM are a Kent based company, carrying out both domestic and commercial maintenance, servicing the south east region and London boroughs. Our company aim is to provide quality workmanship and reliability at an affordable price. Our reputation has been earned through recommendations for our honest, reliable, excellent standards of work over many years. We pride ourselves on our commitment to our clients and ensure 100% customer satisfaction.